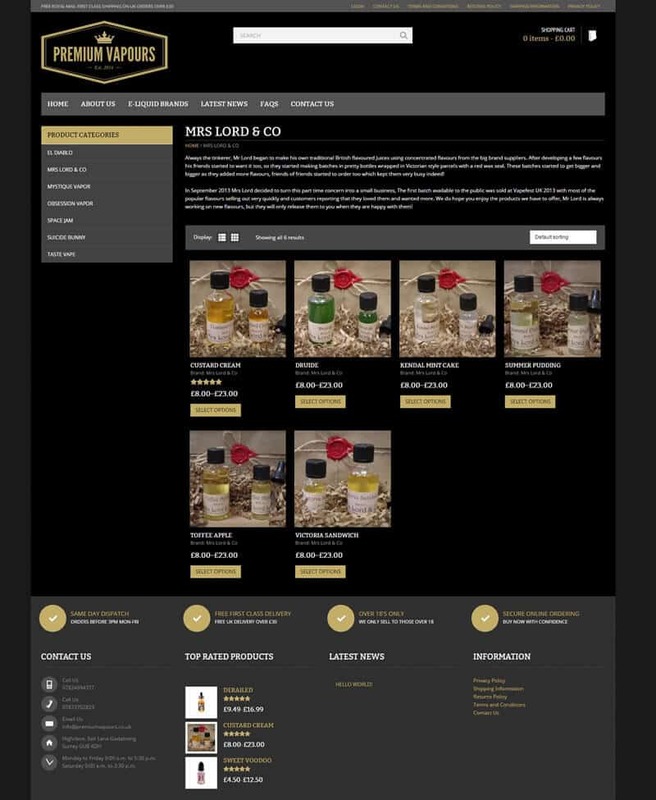 Welcome to Premium Vapours, one of the leading UK suppliers of the highest quality eliquids, we are passionate about sharing our love for gourmet ejuices and want to provide you with a one stop shop for all your favourite brands. We will always strive to bring you the latest high end e-liquids with exciting new flavours from all over the world. With our extensive range of different tastes and nicotine strengths, we truly have an e juice for everybody.